During Cybersecurity Awareness Month October 2018, Booz Allen is spotlighting women in cybersecurity. 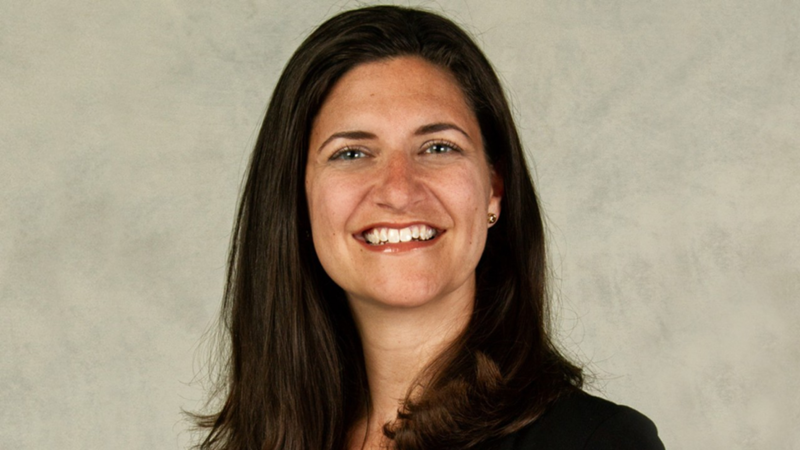 This piece profiles Booz Allen’s chief information security officer (CISO), Rebecca McHale. She oversees Booz Allen’s strategy for protecting information and technology assets. Prior to joining Booz Allen, Rebecca was the CISO for Blackboard Inc., a global educational technology and services company. She also held senior cybersecurity leadership roles at Novetta and CSRA. Read more about her career reflections and advice for women joining the field, below. I’ve overseen response efforts for significant security incidents. These are chaotic periods. Managing the chaos, focusing on communication and collaboration, and emerging as a more cohesive team is a good feeling—so is putting together protection measures that make organizations stronger in the end. It all started with an interest in math and crypto. I was a math major in college, and my senior year, I did an independent study in cryptography. That was the gamechanger for me. What advice do you have for others interested in a cybersecurity career? You don’t need to have a traditional technology degree to have great success. I’ve worked with people encompassing a full range of professional backgrounds—from international affairs to graphic design. Engaging staff with a wider variety of experiences has opened the door to new talent and enabled fresh ideas derived from diverse perspectives. Surround yourself with people who are knowledgeable and from whom you can learn. This will enable you to approach conversations without hesitation, use your voice, and share your viewpoint. Read more about Booz Allen’s cyber practice, here. Rebecca earned a B.S. in mathematics from University of Mary Washington and an M.S. in discrete mathematics and computing applications from Royal Holloway, University of London.